The Hip Hop Weekend, which is also part of the European Capital of Culture Programme, takes place on the 1st and 2nd December at the City Theatre in Valletta. This weekend, renowned Hip Hop artists Jonzi-D (UK), Ivan Blackstock (UK), Kentaro!! (Japan), Salah (France) and Cheryl Lofreda (Malta) are teaming up to bring audiences exciting new Hip Hop performances and workshops that break genre conventions for Valletta 2018’s Hip Hop Weekend! The Hip Hop Weekend, which is also part of the European Capital of Culture Programme, takes place on the 1st and 2nd December at the City Theatre in Valletta. This follows an intense week of mentoring sessions by Jonzi-D and Ivan Blackstock as part of the famed Open Art Surgery programme offered by Breakin’ Convention. €5 tickets, granting access to the shows on both nights, are available at tickets.valletta2018.org. On Saturday 1st December, a triple-bill Hip Hop performance by Kentaro!! (Japan), Jonzi-D (UK/Sadler’s Wells), Cheryl Lofreda (Malta) and Plato’s Dream Machine (Malta) will take place at the City Theatre in Valletta at 8pm. On Sunday 2nd December, at 7pm, dancers who took part in Valletta 2018’s Open Art Surgery workshops (Street Elements, Christian Cali, Warren Bonello, Sarah Kurvinen with Stuart Vella and Dave Duong) will be sharing their work with a live performance at the City Theatre, with Ivan Blackstock (UK), Salah (France) and Jonzi-D as emcee. The audience will then be invited to question and critique the brand new work shown, giving the artists a unique opportunity to dissect their work, learn, improve and grow. This performance comes after participants had the opportunity to take part in Open Art Surgery workshops with Jonzi-D and Ivan Blackstock between the 26th and 30th November. Free from the pressure of creating a specific end-product, the Open Art Surgery workshops allowed artists to take creative risks, try something different and test ideas. A free special children’s dance workshop is also being organised on Saturday 1st December at 10.30am as part of the Hip Hop Weekend, for children and young people aged 8-16. 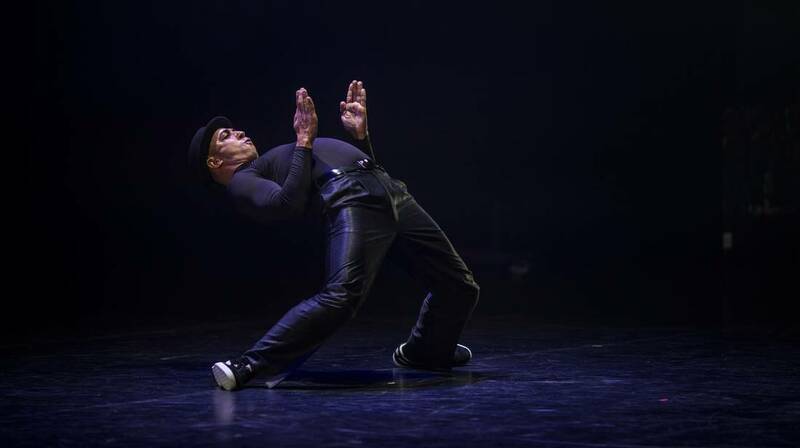 They are invited to attend a free dance workshop which will be delivered by international master popper, locker, B-Boy and entertainer Salah, happening at the Dance College Studios in Msida. This workshop will teach participants Salah’s unique approach to dance and his interpretation of popping, which he calls PABE (Popping, Animation, Boogaloo, Effects). To book your slot email [email protected]. For tickets, visit tickets.valletta2018.org. For more information visit valletta2018.org and follow Valletta 2018 on Facebook. The Hip Hop Weekend is created by Valletta 2018 and Jonzi-D and organised by Valletta 2018 in collaboration with the EU-Japan Fest Japan Committee, with the participation of Jonzi-D, Breakin’ Convention and the local Hip Hop community.